Pixelache | Afropixel # 3, Dakar (Senegal) 11-20.5! News : Afropixel # 3, Dakar (Senegal) 11-20.5! 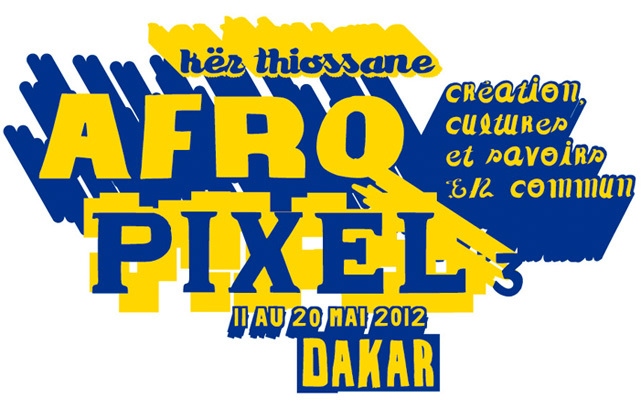 Kër Thiossane, the craddle of the Festival Afropixel in Dakar is turning 10, just as Pixelache! As part of the 'off programme' of the 10th Dakar Art Biennale, Kër Thiossane is launching the third edition of the festival Afropixel on May 11th. This year, the programme focuses on 'Commons' from the perspective of Africa and countries of the South and in the context of new technology and artistic creation. 'Commons' are traditionally defined as the elements of the environment- forests, atmosphere, rivers, fisheries or grazing land - that are shared, used and enjoyed by all. A source code, knowledge, artistic creations, these things too can be considered commons as soon as a community is willing to take care of and share this collective resource.